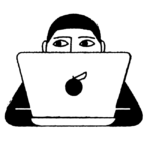 When we think of hand sanitizer, we normally imagine ourselves rushing through our backpack to clean our hands after touching a questionable bus seat or bathroom door. Which is to say: normally hand sanitizer isn’t a cute ordeal. However, the masterminds at Bath & Body Works just released a hand sanitizer set that you can share with your best friend, and is strangely cute. 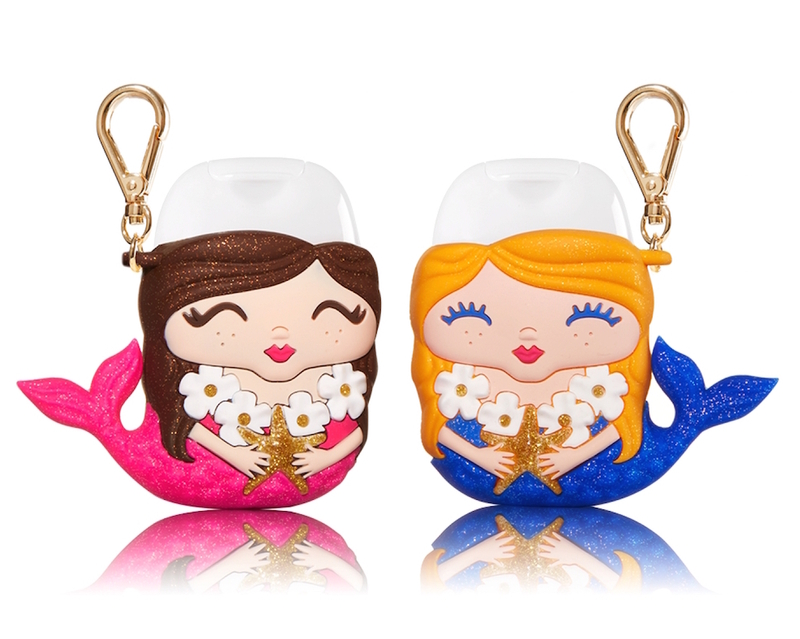 The new Bath and Body Works set of hand sanitizers are tiny PocketBac keychains that look like happy mermaids. So instead of cleaning up your germs with a boring mini Purell, you can wipe your hands clean with the blessings of a tiny joyful mermaid woman. Plus, it’s an ideal gift for your closest germ-conscious friend who enjoys the marriage of cleanliness and cuteness. Now you and your BFF can outdo all the other friendships by buying each other matching necklaces AND hand sanitizer keychains. Buy the set through the Bath & Body Works website for $9.50. Bath and Body Works may have just cracked open the world of sanitizers living ~under the sea~. We’re sorry, but also they’re literally little mermaids, so how can we resist referencing The Little Mermaid?! And if you’re not crazy about mermaids (who ARE you? JK! 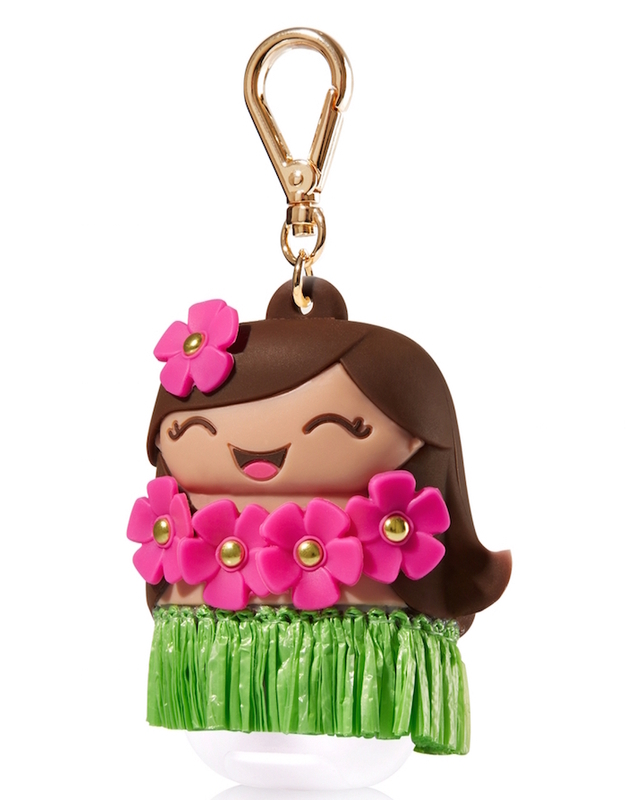 ), this hula girl PocketBac holder is pretty cute. And so is this RAINBOW! 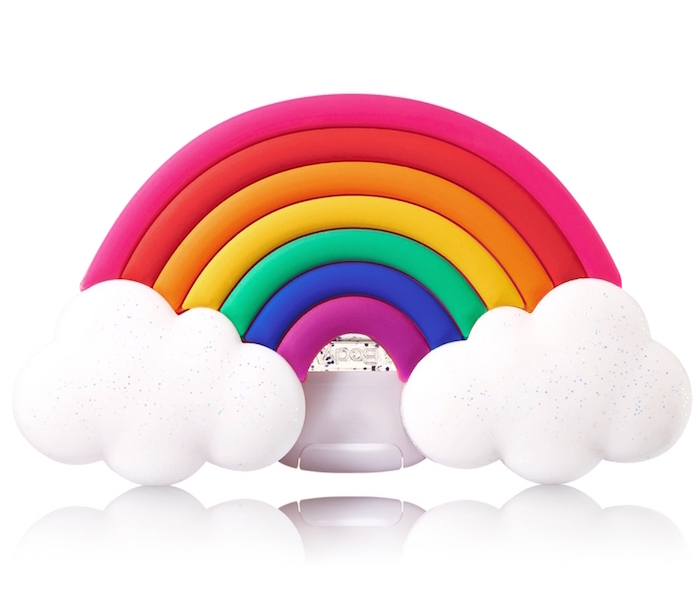 Who knew hand sanitizer could be so stylish? !